Looking for a place to sell diamonds in New York? You found the best place to get cash for diamonds in NYC. Here, at NYC Bullion, when you decide to sell your diamonds, we will authenticate it in a highly transparent manner. Our top-notch jewelers and experts will assess your diamonds using certified calibrated scales so that you can get the most accurate evaluation of your precious stones. When you think – “I want to sell my diamond” - you don’t have to be afraid of receiving an unfair price anymore. With NYC Bullion, you’ll receive the fairest cash for diamonds payout. Still don’t know where to sell diamonds? You should look no further than NYCBullion. 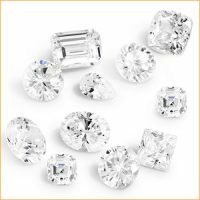 As a highly trustworthy diamonds buyer, we will provide you with professional assistance and high-class expertise when it comes to selling loose diamonds or any diamond jewelry. You can be completely confident that your diamonds are safe in our jewelers’ hands – they will answer any questions you may have if you decide to sell your diamonds in NYC. All you need to do is to visit us, NYC Bullion, in the Diamond District Area in Manhattan to receive a fair and superb cash for diamonds offer. If you’re wondering “How do I sell my diamond in NYC?” – We’ve got your back! When selling precious stones, you may deal with many unreliable diamond buyers that will offer you undervalued quotes when you decide to sell diamonds for cash. But you don’t have to worry anymore – at NYCBullion, you will get the most professional expertise either online or in store. Visit us in the heart of NYC and let your valuables be authenticated by a certified team of expert jewelers. You will certainly feel safe and secure when you get the best assessment in town and an exciting cash payout. Or you can check out our “Get an offer now” section, and complete the form to get your quote online. It's as simple as that! When you decide to sell diamonds in NYC, you should be fully confident that you are dealing with a reputable diamonds buyer. While there are many diamond buyers in NYC, not all of them are accredited to authenticate diamonds. You may come across an unreliable jeweler that will try to scam you by taking advantage of the current rise in diamond prices. Moreover, when searching for a diamond buyer, you should make sure it has a store that you can visit anytime. Here at NYCBullion, we provide you high-class expertise from a team of jewelers with years of experience in authenticating diamond jewelry and loose diamonds. They will assess your diamond offerings in a highly transparent way – right in front of you – so you will feel completely safe and sure that you get all the necessary details regarding your diamonds. Our professional assessors use only licensed calibrated scales for measuring your diamonds, so you can be confident that you will receive a fair, real cash payout for your diamonds. Don’t hesitate anymore, come to the best diamond buyer in NYC – NYCBullion – and get cash for diamonds, jewelry, rings, earrings or loose diamonds in no time!